Don't worry! Just bring it in! 1. Counter Help - This is the help we give most often. We offer everyone up to 15 minutes of FREE help on their projects - and that's 15 minutes of our time, not yours. If you dropped a stitch, or lost your place in a pattern, or have some weird thing going on that you're not sure what to do, we will help you for FREE (of course, if the shop is super busy, you may need to wait a bit) or find a way to get you the help you need. 2. Private Lessons - Many of our teachers offer private lessons, including Dawn, Patrick, Debbi, Caryn, and Wendy. 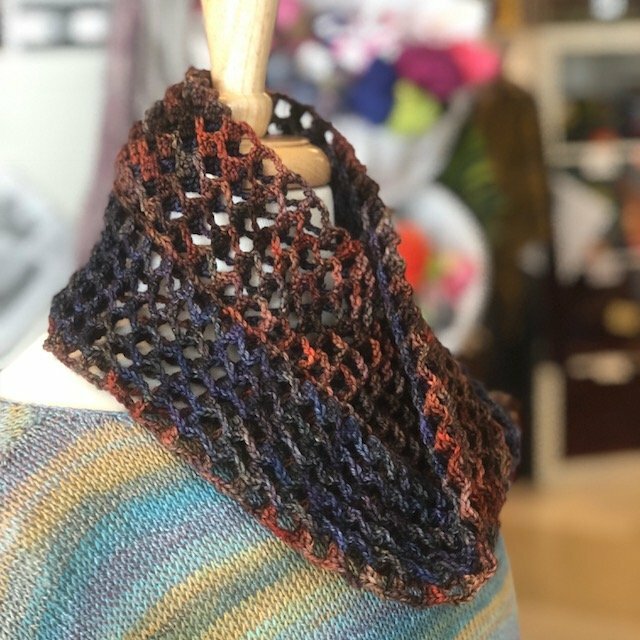 We have someone who can help you with any project on almost any yarn craft, from knitting and crocheting to spinning, tatting, naalbinding, weaving, and more! Private Lessons are $18/hr for one person, $12/hr per person for groups, or $10 for a half hour lesson for one person. 3. Classes - Wendy offers a Knitting Workshop class at least twice a month where you can bring any knit project at all and work on it in a class setting with other students for 2 hours - for the same price as a one hour Private Lesson. We also have classes on many other subjects ready to help you. 4. We will also do our best to help over the phone (210-979-8255) or through messages on our Facebook or Instagram pages, but please be aware that we may need to actually see your project in person. And probably if you message us at 3 am, it might be a few hours before you get a response. 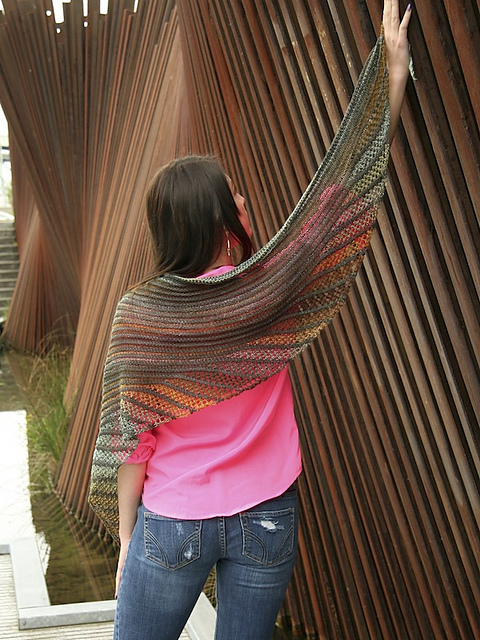 Just look at this gorgeous crescent shawl! It's mostly garter stitch and the lacey part is easier than you would think. A stunning result without too much work! We suggest trying two colors of Crating My Chaos Elite for some lovely color contrasts. We have a new yarn we're really excited about! It's so new it doesn't even have a Ravelry page yet! 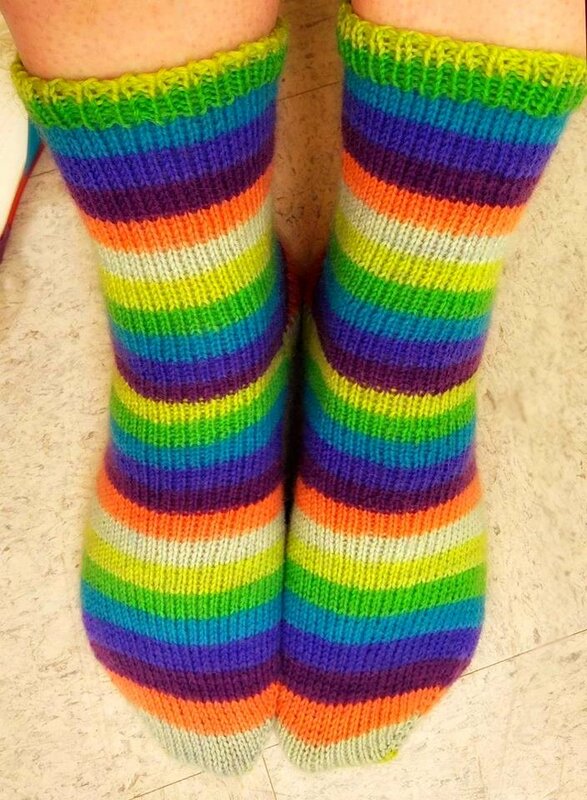 The yarn is called Rainbow Collection from Cestari Sheep & Wool Company. It's an organic 50/50 wool/cotton blend and it feels so good - sort of cool and dry and squishy - it even smells good! To keep from catching the back layer as you sew up a sleeve or other tubular shape, put an old envelope or some paper inside the layers, creating a barrier between the seam and the rest of the tube. 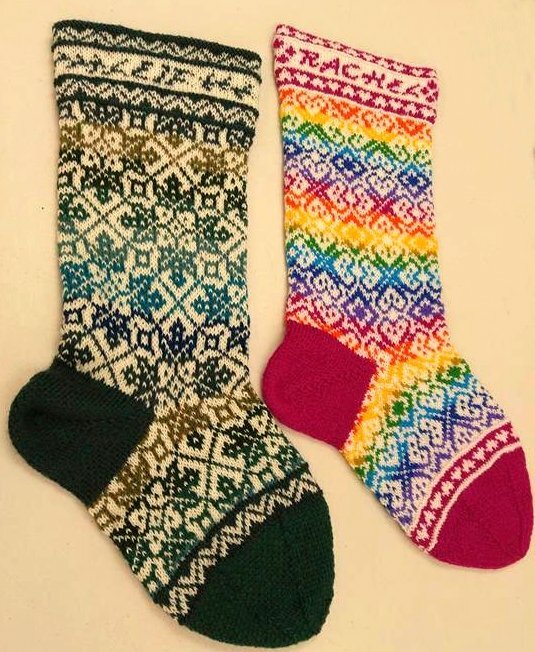 Learn stranded knitting technique and impress the relatives as you make this heirloom Christmas stocking! You’ll choose from several different pattern designs, and learn to personalize your stocking. Make one for every family member! It’s hot now, but Christmas sneaks up on us FAST! 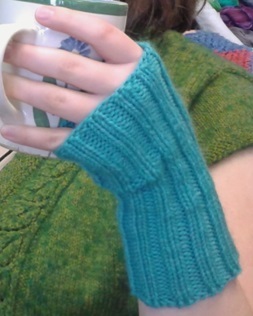 These simple glovelets knit up FAST and everyone loves them! 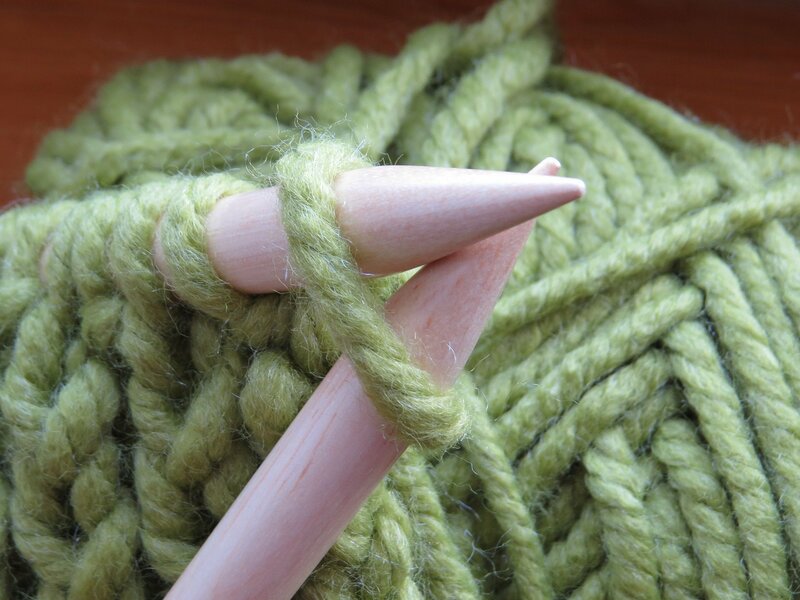 You’ll learn to knit in the round on double-pointed needles with this fun project! 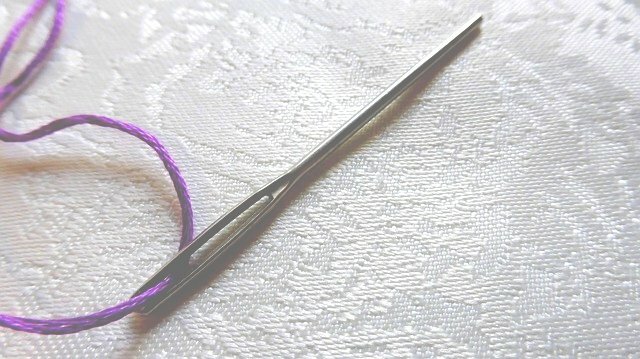 This 3-hour class will start with students mastering this unique stitch in a swatch. Next, the class will begin a single-color cowl.